Gabriel is an Agricultural Engineer from Brazil that just arrived in Belgium to start a MSc. Program in Nutrition and Rural Development at the University of Ghent. In the past years, he had some experiences with Sustainable Agriculture that significantly changed his way of understanding food production and the use of natural resources. He is looking forward to enjoy this opportunity of studying in Europe and learn about cultural and technical aspects of food production and consumption in a different continent. 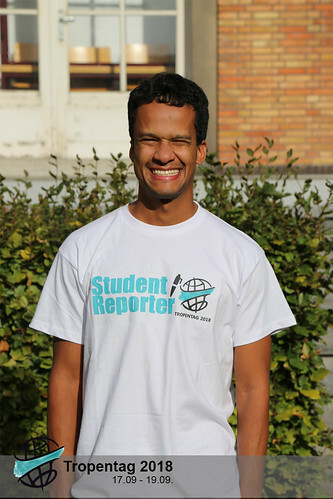 He is really excited to work as a Student Reporter at Tropentag as he believes this event covers a lot of the needs for enhancing agricultural production around the world, and it will be a great start for his young career abroad. 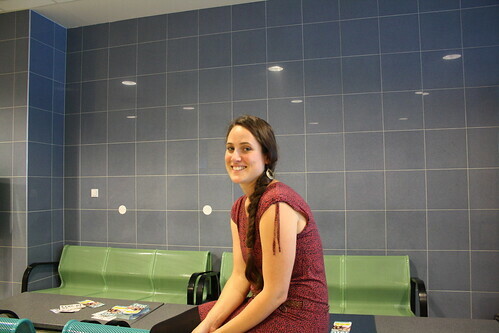 “If the students are happy – I am happy” – Sarah Glatzle has the right attitude for her position: She is the organizer of the ATSAF-Student Reporters program. 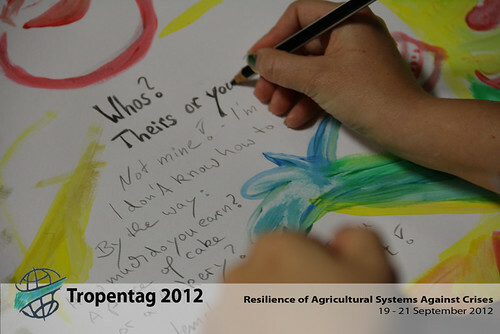 Every year at Tropentag, twelve students learn in workshops to report about scientific themes resented at the conference. Sarah not only has to handle the chaotic creativity of the student reporters—her work starts even earlier with the selection of them. “There was even an application from Trinidad-Tobago,” tells Sarah, “but unfortunately only students from European Universities can apply.” Otherwise the traveling costs would be too high to be covered by ATSAF. Learning by doing – you cannot plan everything. Sarah knows that the only way to handle the unexpected is to be flexible. Rooms are locked, material is in the wrong place – lots of problems have to be solved behind the scenes to keep the Conference working. But the stressful moments last only for a few hours and there are, of course, many positive experiences. Last year the students surprised her with flowers for her support. Next year Sarah is going to do her pHD research in Brazil about integrated crop- livestock system – let’s hope she has next year nevertheless the time to help the students. 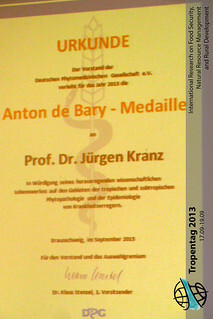 We part to meet again: Tropentag 2012 makes way for Tropentag 2013. 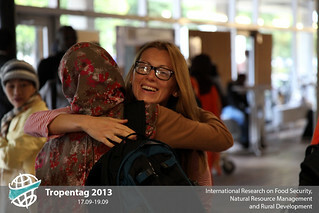 This year’s edition of the esteemed conference, Tropentag (www.tropentag.de) was brought to a close on Friday 21st September 2012 in Göttingen. Running under the theme “Resilience of Agricultural Systems against Crises”, the conference brought together 721 participants from 71 different countries to provide solution for agriculture especially in this era of global warming. Addressing the closing Ceremony, Professor Andreas Bürkert offered an invaluable highlight of the discussions that characterized the 3 day conference. He reiterated some important lessons, ideas, innovations and technologies to buffer the agricultural systems to ensure productive and sustainable output from the micro-level to regional scales. Commenting on the success of the conference, He commended the magnitude of poster sessions that characterized this year’s Tropentag which amounted to some 287 posters. He evaluated the poster sessions as an important part of the conference as most of the innovative ideas were presented on the posters. 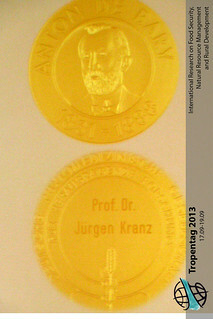 On attendance, 20% of the registered participants whose work had been published in the Tropentag brochure were noted to have been absent for which Professor Bürkert gave an advice to be present next year as the work of any absentee participants will not be published and the owners blacklisted. 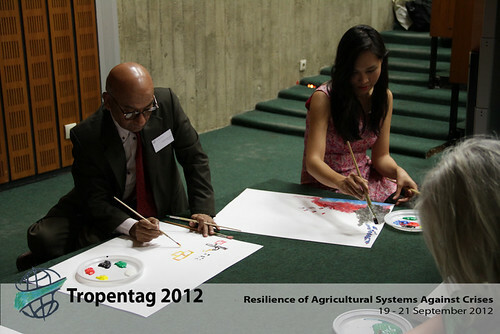 Women were also advised to take the opportunity of reaching out to society and making impacts by participating in such platforms as Tropentag as the women attendance was 35%.